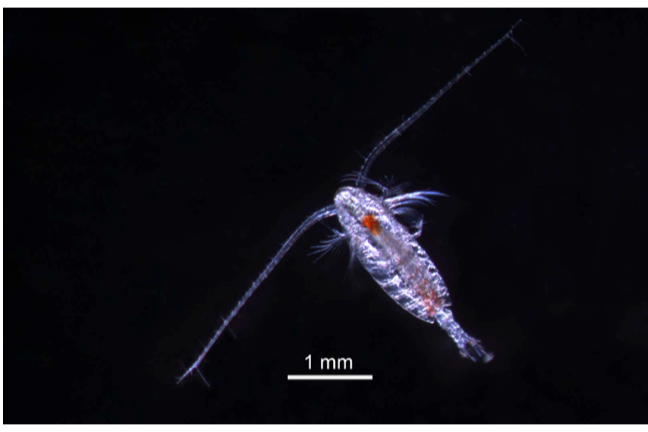 Marine copepods such as Calanus finmarchicus (pictured) are central to the productivity and biogeochemistry of marine ecosystems. Dr Daniel Mayor, from the National Oceanography Centre in Southampton discusses copepods, climate change and metabolomics. Copepods are tiny crustaceans, i.e. distant relatives of crabs and lobsters, that rank among the most abundant animals on our planet. One type of oceanic copepod, Calanus, (see figure above) has captivated the interest of marine scientists for over a century, not least because of their importance in the highly productive North Atlantic and Arctic food webs. These open ocean drifters are in many ways analogous to wildebeest on the plains of Africa. They undertake a spectacular annual migration, descending over 1 km into the deep ocean to overwinter in a state of suspended animation after fattening up in spring. Imagine having to walk 875km before being allowed to sleep off your Sunday roast. Importantly for us, Calanus forms a crucial link in marine food chains between the oceanic meadows of microscopic algae and predators such as fish larvae: lots of Calanus means lots of fish for us to harvest. Although Calanus is relatively well studied, we know little about how it will respond to future environmental change. The oceans were once considered to be so large as to be beyond the influence of mankind. We now know this to be untrue. The rising atmospheric concentration of carbon dioxide, largely attributable to the burning of fossil fuels, is causing the planet and its oceans to warm up. But that is only half the story. Much of the carbon dioxide released to the atmosphere ends up dissolved in the ocean. This has slowed the rate at which the planet has warmed, but has also lowered the pH of seawater, causing ‘ocean acidification’. A major challenge for marine scientists is to understand how changing conditions in the ocean will affect the resident organisms. Our recent study used metabolomics techniques to examine how the metabolism of adolescent Calanus will be affected by the seawater temperature and acidification predicted for the end of this century. The 5-day exposure experiments were conducted in the absence of food to pit the direct effects of environmental change against reduced food availability, a natural stressor that is now increasing as a side effect of ocean warming. 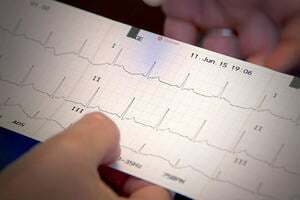 Our study, the first of its kind, produced surprising results. Contrary to the expected negative effects of warming and acidification on the metabolome of Calanus, no such effects could be discerned. Therefore, Calanus appears to be resilient to short-term exposure to future environmental change. Starvation, by contrast, clearly affected protein and lipid metabolism in the experimental animals. Evidently there is a clear need to consider the results of climate change experiments alongside the effects of other, naturally occurring stressors. In-depth study of our metabolomics data revealed that the starvation response involved a previously undescribed type of taurine-containing lipid. Little is known about these newly discovered compounds, but studies of similar compounds in other organisms suggest that they are involved in transporting fats from their storage depot to where they are needed for energy generation. We also found that the food deprived animals burnt off ‘omega-3’ fatty acids faster than other types of fatty acid. This result came as a surprise because omega-3 fatty acids are essential for healthy copepod growth but cannot be produced by Calanus, and instead must be obtained by eating particular types of microalgae. Calanus has therefore previously been assumed to use omega-3 fatty acids conservatively, preferring to breakdown other, non-essential fatty acids when faced with periods of starvation. Our study has overturned this assumption and brings into question how climate-driven changes in the structure of microalgae communities, and hence the supply of omega-3s, will affect the health of future copepod generations. Initial metabolomic studies, such as ours, inevitably raise more questions than answers. This highlights how little we know about the specific details of metabolism, even in a relatively well studied organism. There is still much to learn. The discovery of taurine-containing lipids and the counter intuitive roles of omega-3 fatty acids in Calanus represent exciting developments that generate deeper insight into the physiology of these animals. We are only just beginning to understand how copepods and other oceanic organisms exploit the energy-rich nature of fats and their temperature- and pressure-sensitivities to survive in their natural habitat. Metabolomics offers enormous potential both as a tool for generating novel discoveries and also for developing and testing new theories about how an organism’s physiology ultimately determines how it interacts with other organisms and the surrounding environment.